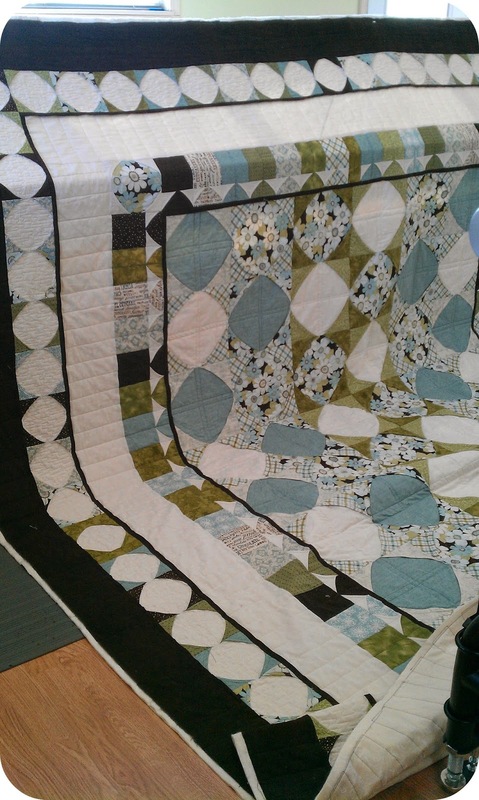 I've been working hard trying to get all my client quilts finished so I can take most of the summer off. So far that hasn't worked out as well as I had hoped but I'm still keeping my fingers crossed. 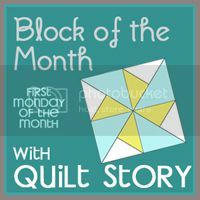 Bonnie and I met a few years ago at a quilting class and she quickly became one of my favorite clients. 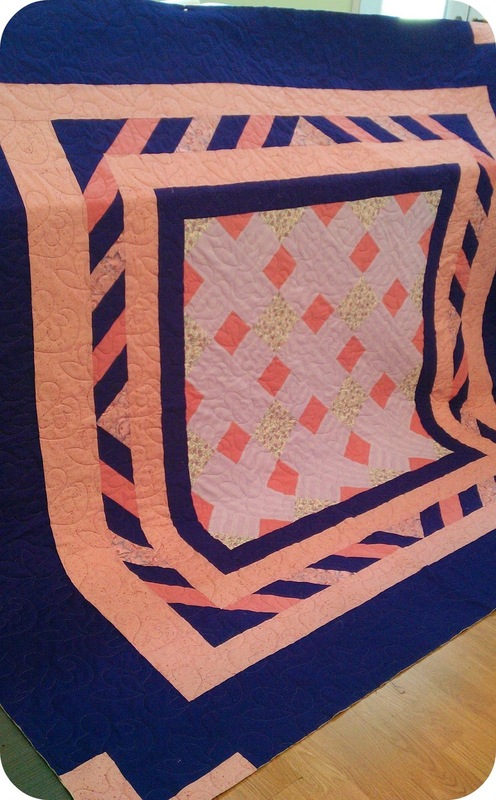 She pieced this lovely quilt and had me do some custom work on it. 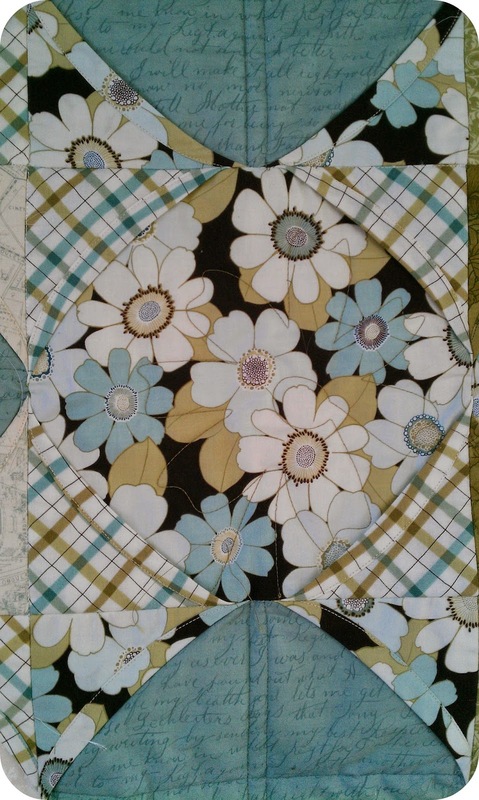 I did a simple water stitch in the remainder of the quilt background. 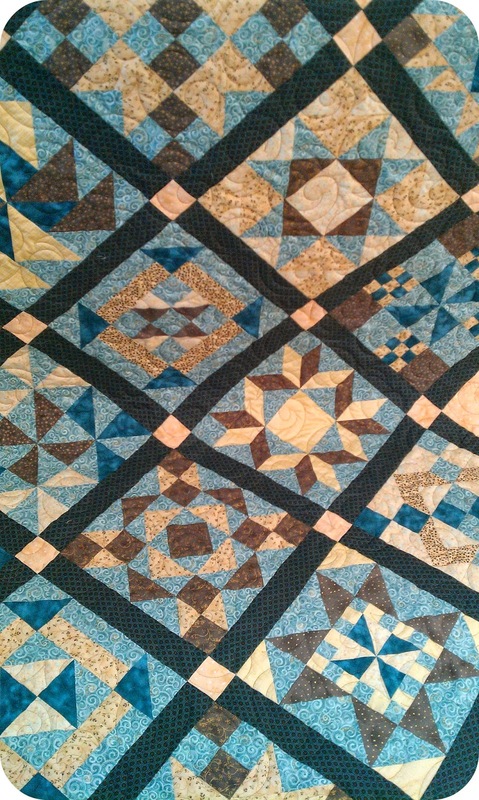 Bonnie also pieced this next one. 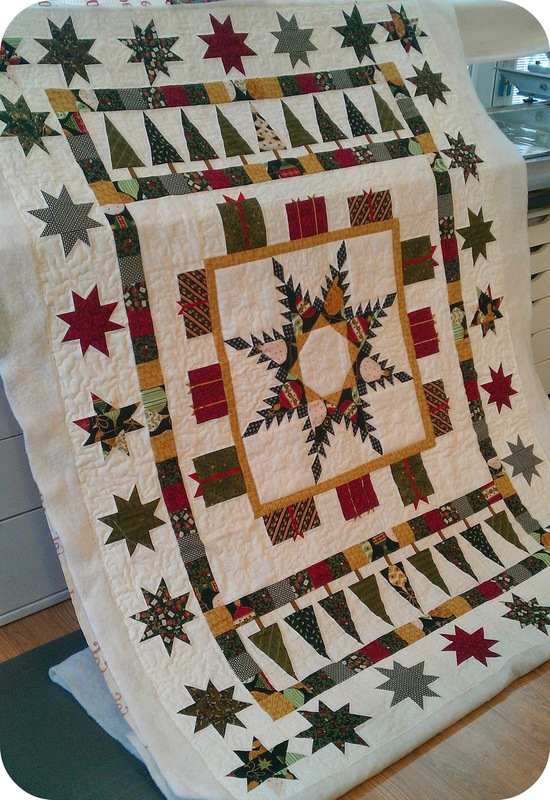 This next quilt was done by Rose. 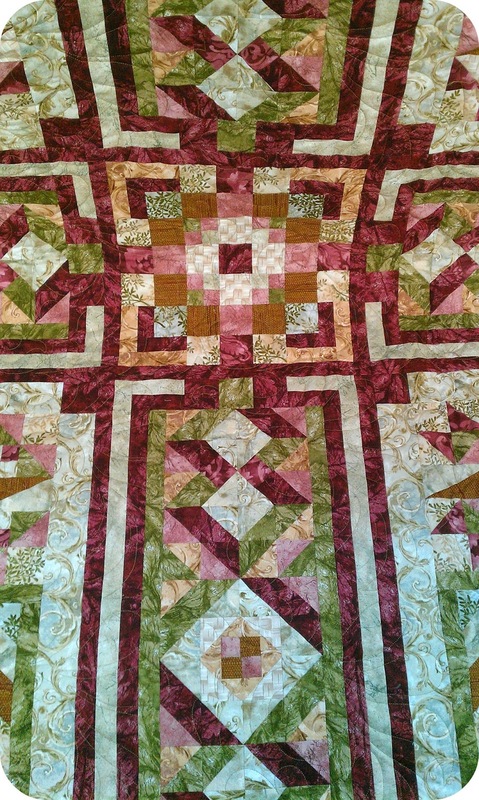 Rose also pieced this next one. 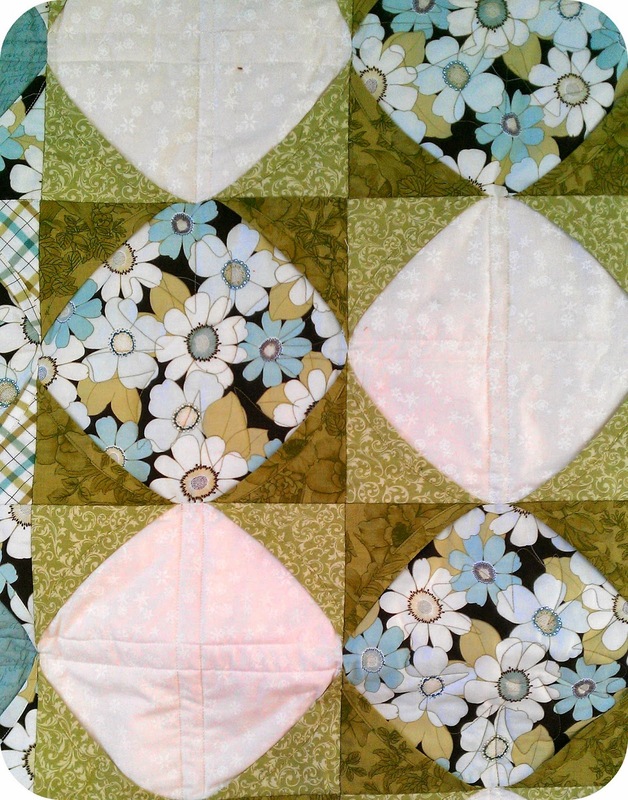 Joyce made this lovely quilt. 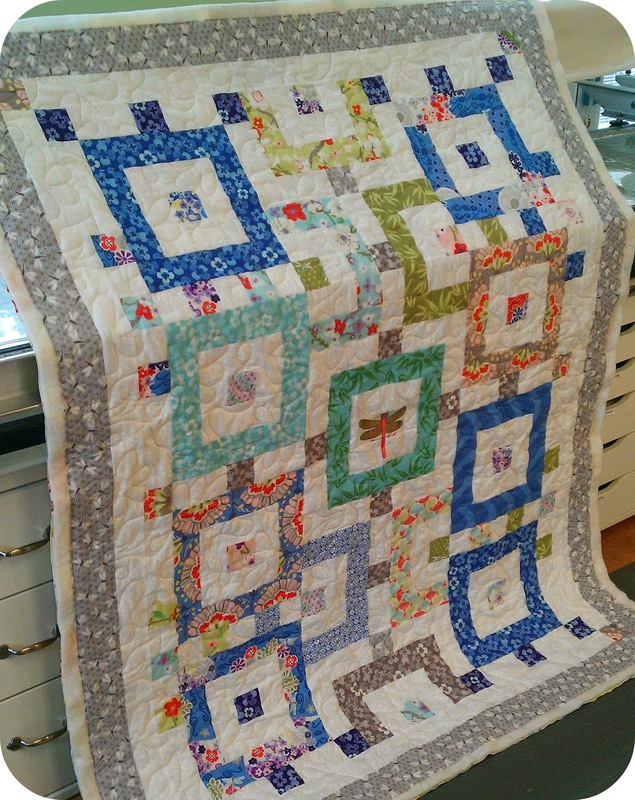 Lastly, Jean wanted to make a quilt for her daughter Anna. The two of them picked out the fabrics and Jean started sewing. Neither one of them liked where the quilt was going so Jean started over and ended up with this. 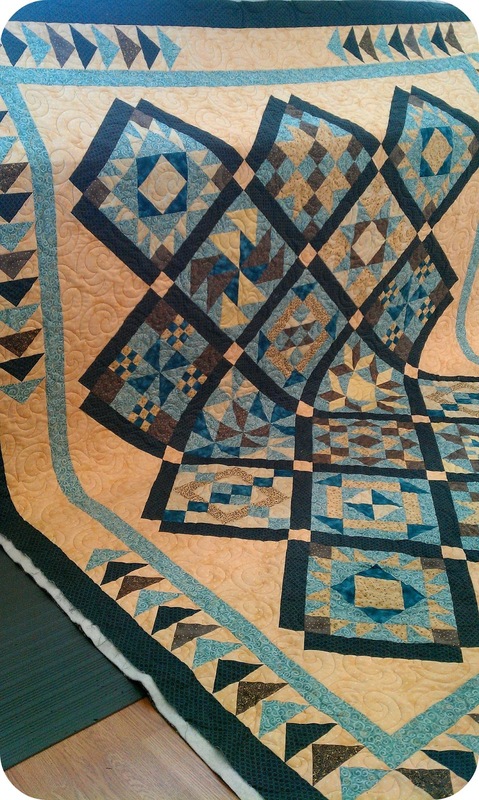 This quilt was huge!! 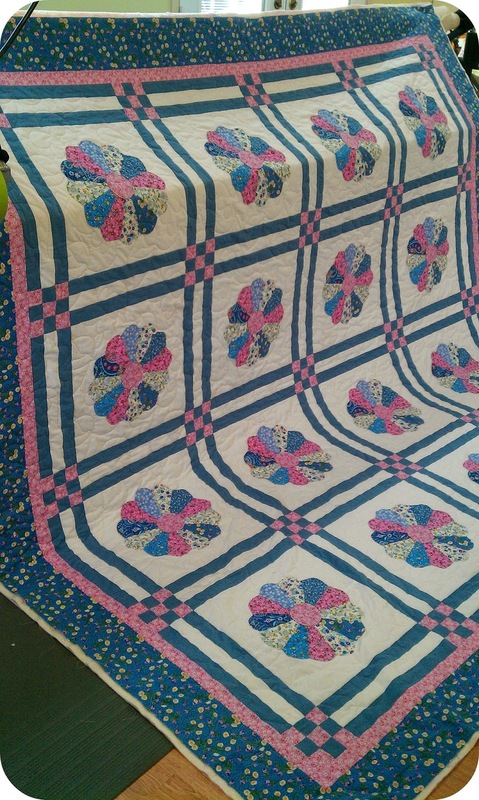 Jean and Anna wanted it custom quilted; it took me almost an entire week to get it done lol. I ditched the entire quilt. In the floral snowballs; I did a daisy. 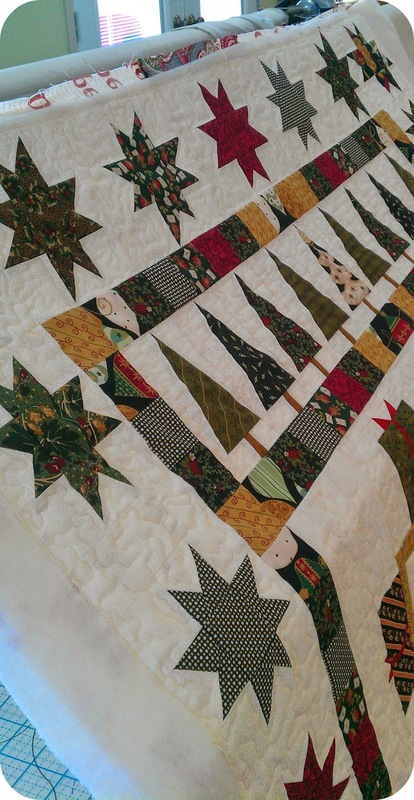 In all the 'solid' snowballs, I quilted some lines. 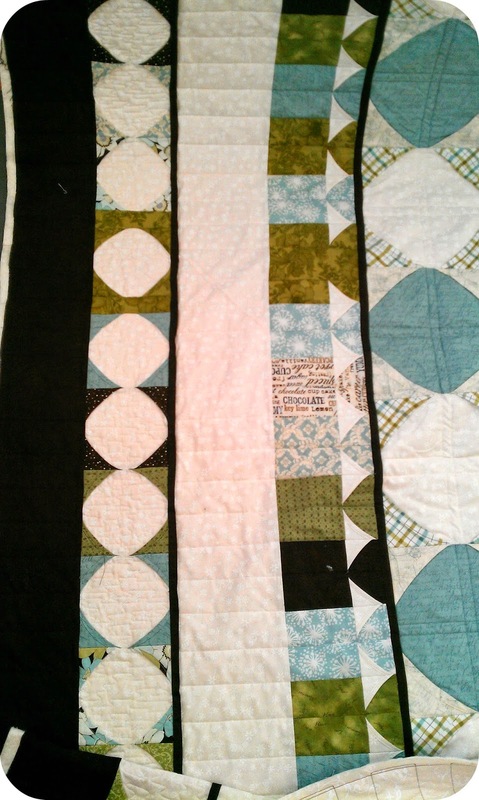 Straight lines and water stitching in the borders. Some of the blocks were done cathedral window style. 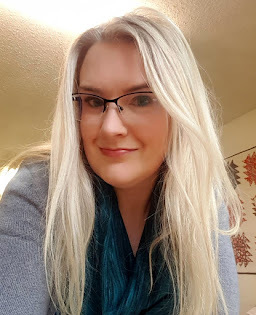 It was so fun to do. And Anna, and Jean! absolutely loved it. 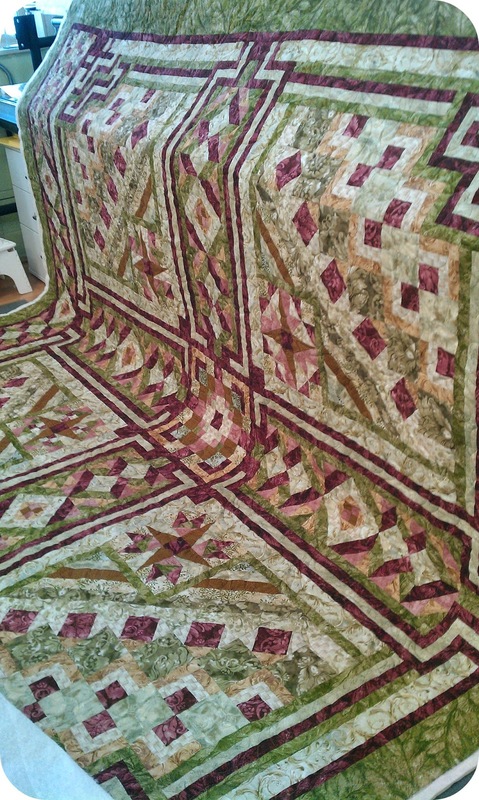 Such pretty quilts, it's hard to choose a favorite! 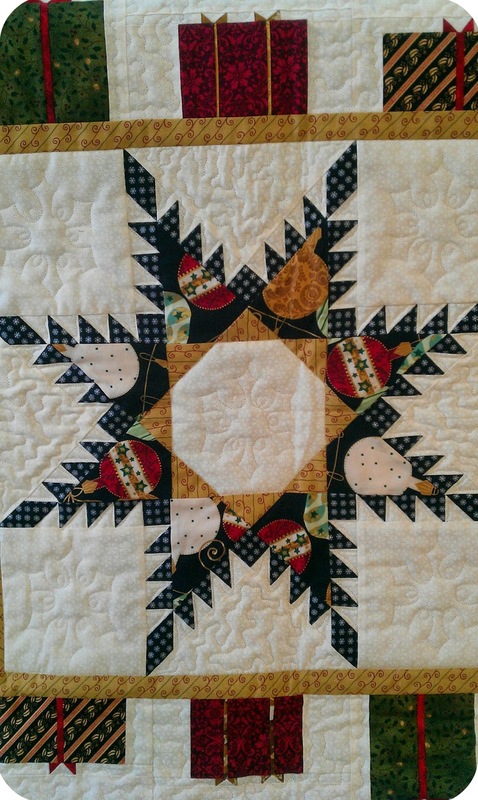 However, the feathered star Christmas quilt reminds me that it's time to start thinking about holiday gifts. Eek!